The Simpsons Movie’s plot starts off with Homer adopting a messy piglet he names “Spider Pig”. The pig, helped a great deal by Homer, made enough waste to fill a silo in just two days, so how does Homer decide to solve this problem? Naturally, being Homer (doh! ), he throws away the silo into the lake, causing an environmental disaster in the process. 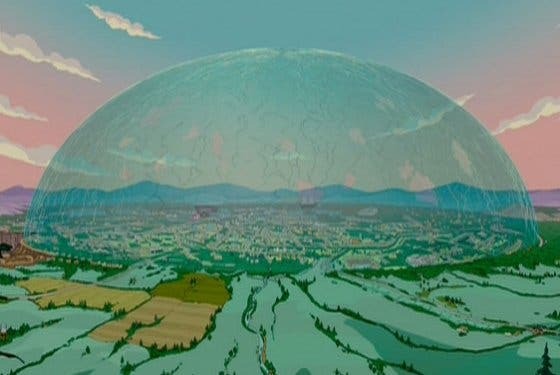 Left with no choice by the EPA, Arnold Schwarzenegger decides the best course of action is to put a dome over Springfield. 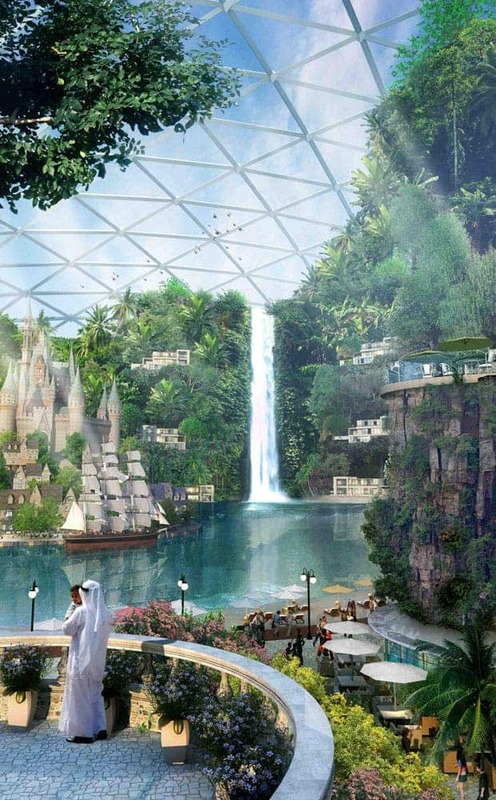 Like the Simpsons’ Schwarzenegger, His Highness Sheikh Mohammed bin Rashid Al Maktoum thought it’s a good idea to close a whole city inside a glass dome. The only difference is that we’re dealing with reality, instead of fiction this time! The seven-kilometre-long promenades connecting the facilities will also covered and air-conditioned during summer. 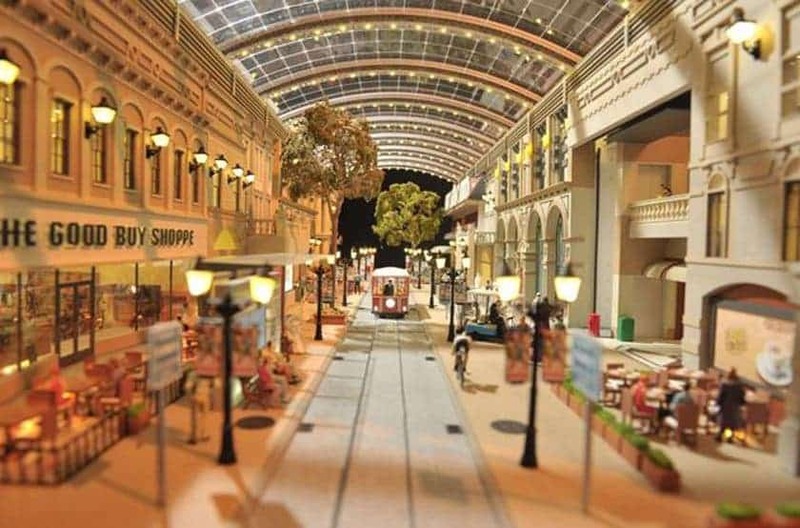 The Mall of the World will also come complete with a dedicated 3 million sq. ft. wellness zone catering to medical tourists. “It will offer a holistic experience to medical tourists and their families, ensuring access to quality healthcare, specialized surgical procedures and cosmetic treatments, wellness facilities, and high-end hospitality options”, according to a Dubai Holding statement. It’s not only about satisfying a huge ego – don’t get me wrong , it’s about that too. The Saudis, the upper class at least, have become filthy rich as a result of their deals with big oil corporations that paid them big cash in royalties in return for permission to drill the sands like there’s no tomorrow. The UAE isn’t stupid though. The government knows that the oil will run out eventually, so they’re massively shifting their eggs into more baskets, since apart from oil the country doesn’t really have any commodity it can trade – unless you can count sound. So, the Sheikh and cohort have been starting to invest their (big) money in alternative means of income. One is high technology (they’re planning on building the most well-equipped and leading university in the world), and the other is tourism. 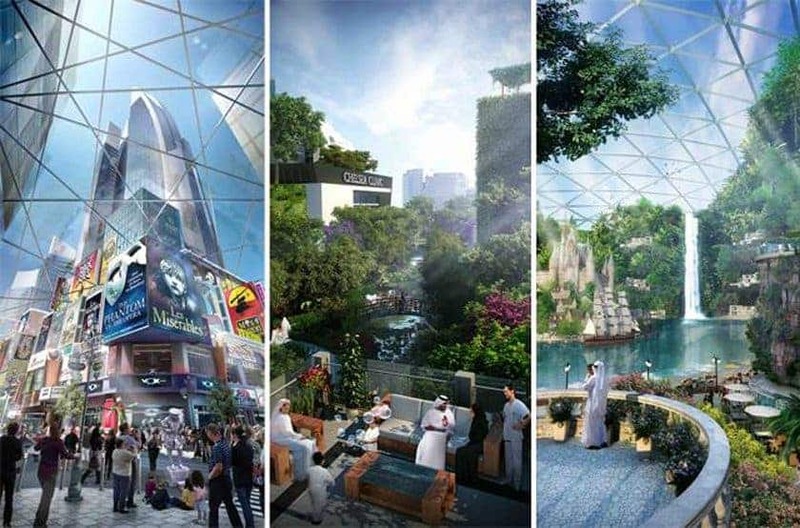 The latter is where the Mall of the World fits in, as its investors hope on garnering 180 million visitors annually, joining a synthetic oasis that already is filled with the tallest skyscrapers and biggest shopping malls in the world. While the entire project is estimated to take a period of at least 10 years to complete, the 8 million square foot mall will be ready in approximately three years. Meanwhile, though, the World Bank is already breathing up the Sheikh’s neck, reminding him of the 2009 debt crisis, snowballed exactly by a situation like this – a real estate bubble.